SEO has evolved tremendously, and search engines are constantly deploying new rules aimed at improving the online experience. Thus, online marketers should arm themselves with vital SEO tips and they need to implement these strategies considering that Google penalizes sites that appear spammy and rewards those that play by the rules. Possible SEO red flags include; low-quality content, keyword stuffing, and poor link building strategies. What should online marketers do? Read on! Content is key, and Google saves all first page spots for websites that provide a rich experience to their vistors. Gone are the days where low-quality content would be ranked highly. In fact, even the best SEO practices will not work for you if you publish low-quality content. As a tip, purpose to create relevant, credible, and enriching content. Links are a key ranking factor today. On the contrary, link building could ruin your rankings tremendously if Google detects suspicious activity. The best approach to handle link building is to adopt and implement a diversified link building strategy. Instead of turning to spammy guest posts – like most people, focus of having authority, reciprocal, and outbound links. The main focus here is quality over quantity. Any successful SEO campaign is anchored on these fundamental tenets. SEO is not just a matter of having excellent writing skills. 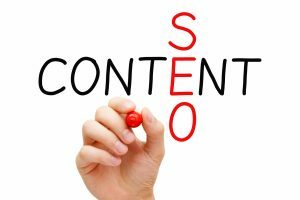 Content developers also need to take responsibility for how search engines interpret their content. As such, content should be written both for people and search engines.